Gunung Leuser National Park is a national park covering 7,927 km² in northern Sumatra, Indonesia, straddling the border of North Sumatra and Aceh provinces. 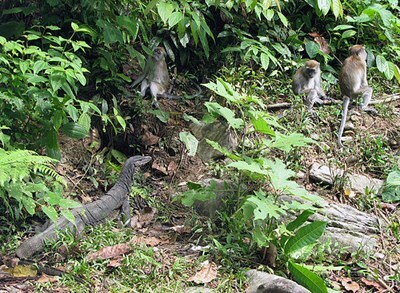 The national park, named after 3,381 m height of Mount Leuser, protects a wide range of ecosystems. An orangutan sanctuary of Bukit Lawang is located inside the park. Together with Bukit Barisan Selatan and Kerinci Seblat national parks it forms a World Heritage Site, Tropical Rainforest Heritage of Sumatra. This description uses material from the Wikipedia article on Gunung Leuser National Park and is licensed under the Creative Commons Attribution-ShareAlike License (view authors).